This year there are many Christmas activities in Malaga for both children and adults. I am going to review some of the most popular activities in December, so that you can enjoy Christmas with family or children. There is a large Nativity Scene, music, workshops and a children’s theatre in addition to the well-known and popular Christmas lighting that is inaugurated on 30 November. If you are one of those who can’t spend Christmas without a Nativity Scene at home, you can’t miss the one they have made this year in Malaga. 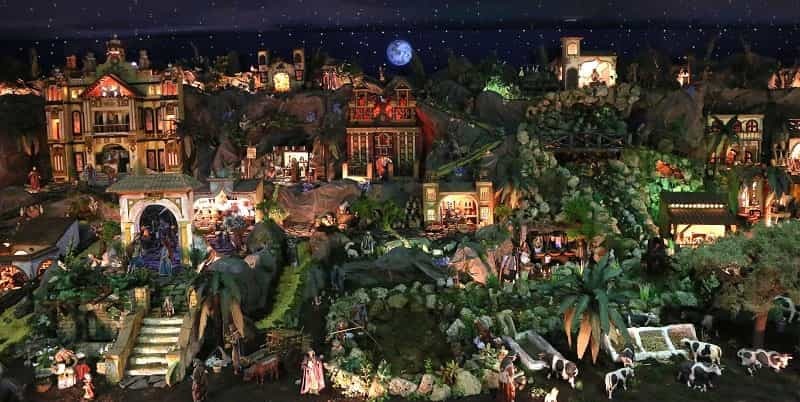 This Nativity Scene has an area of 220 square meters and shows a Christmas composition with 1000 figures, some of them moving, and more than 10,000 miniatures for the enjoyment of visitors. For the creation of this Nativity scene they have based on biblical scenes, the representation also includes some of the main monuments of Malaga. Available until 5 January from 10:00 am to 9:00 pm. 24 and 31 December from 10.00 to 5.00 pm. 25 December, 1 and 6 January closed. In addition to the previous Nativity Scene, there is another one since 2 December in the Cathedral of Malaga. This Nativity Scene occupies 45 square metres and has a marine approach. Schedule: From 10 to 2 pm and from 5 pm to 8.30 pm. This other Nativity deserves to be among the most popular in Malaga because it is performed with people and animals. It’s a magic Nativity play that aims to locate on the Christmas map this small town of Velez-Malaga. Among the features of this Nativity Scene there are more than 150 characters wearing historical costumes, dozens of animals, large sets and a whole team of technicians behind. The duration of this Nativity play is just over 2 hours. When: December 29th and 30th at 6pm. In December and on Saturdays on 1, 8 and 15th of December there will be night guided visits with a duration of 1 hour and a half. Visitors will walk at night the areas of the viewpoint, inside the palace and finding the old library of Amalia Heredia and the halls. 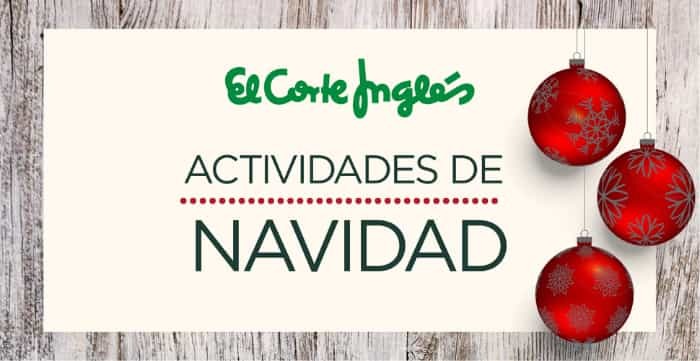 These attractions are available from 22 November to 7 January in front of the Corte Inglés (map). The schedule is from 10.00 to 10.00 pm. 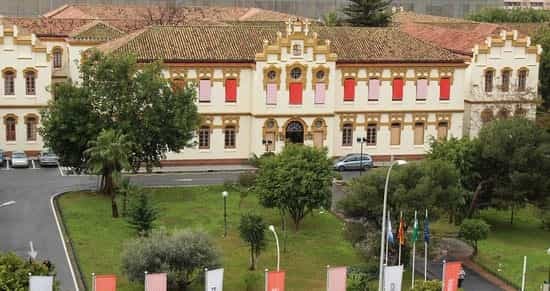 In La Termica there are workshops and activities for children every year. This workshop has capacity for 16 adults and offers activities for children between 10 and 14 years old. There are theatre performances for and by children in many municipalities of the province; such as the one in Comares on 29 November and in Algatocin on 8 December. A family workshop is in the Cultural Centre of Juzcar on Saturday 8 December at 6 pm. Entertainment on 15 December at 6pm in Arriate with a children’s theatre group. Among the Christmas activities this year you will find some typical representations in the Interactive Museum of Music from 12 to 1 pm. These activities are especially suitable for children aged 3 or over, although children under that age have free admission and will surely enjoy it too. Among the performances you can attend are Pinocchio, Alice in Wonderland, Treasure Island, Return to Oz or Nutcracker among others. You can visit the official website and buy tickets from there. I recommend doing it online and not using the expensive 902 telephone number. Free workshops for children between the ages of 8 and 12 from 26 to 29 December and 6 January. Attendance hours are from 10 am to 2.30 pm, will be held in groups of 25 people. To visit, it is necessary to register at the museum or by calling 951 137 001. What are the workshops about? The workshops will be team workplaces where the emphasis will be on the acquisition of new vocabulary with notions about road safety, the evolution of the automobile and environmental awareness. In this workshop the participating children will create a Christmas ornament. They will also learn about the importance of preserving nature. A game about the pieces and cars exhibited in the museum for children to have fun while they learn. Group work to create Christmas decorations. The children will learn to create figures of the Three Kings in a creative and imaginative way. Nothing better during these dates than a dramatized reading of the classic Christmas stories. 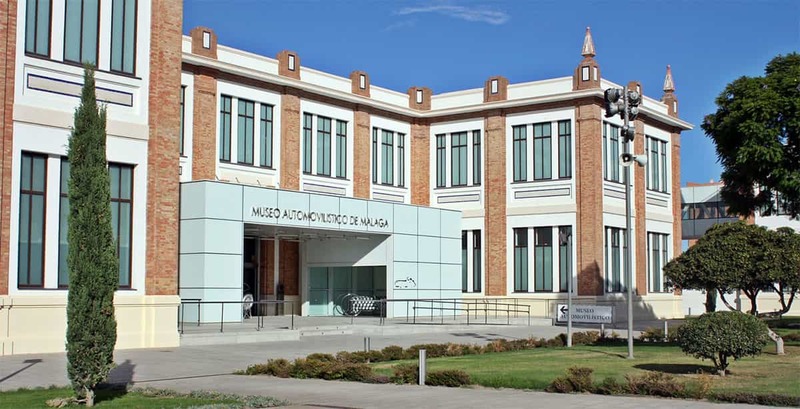 For more information you can visit our entry about the Automobile Museum. 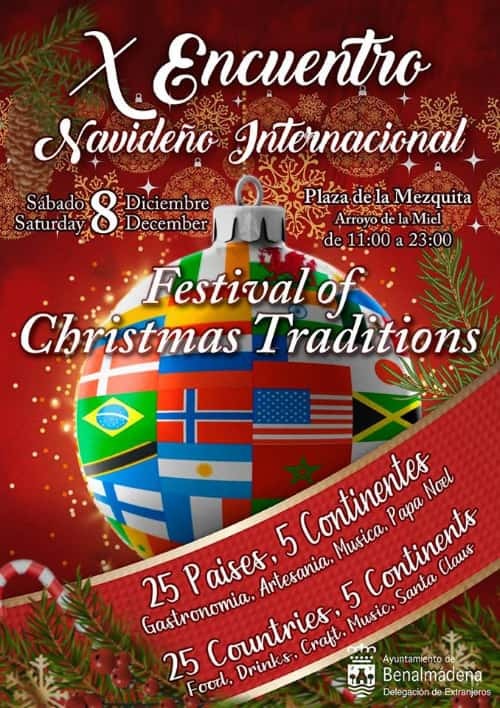 On Saturday 8 December from 11:00 am to 11:00 pm you will be able to taste a selection of typical Christmas international food from several countries. There will be stalls with typical Christmas products, music and many other activities that everyone will enjoy, both children and adults. When: 8 December from 11.00 to 11.00 pm. 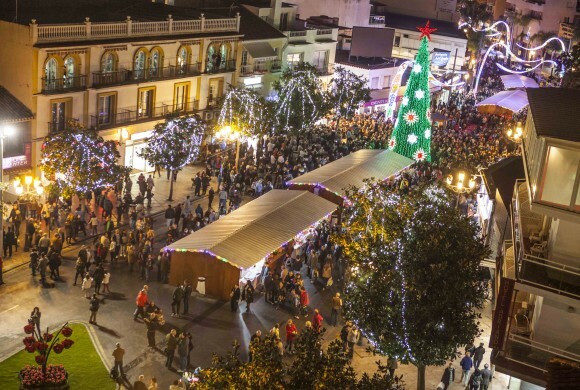 Christmas comes to Estepona in December with activities for all ages. Most of the events will take place in the Plaza Antonia Guerrero (map). 21 December: ‘Love to Sing’ International Choir with typical Christmas songs in English. 22 December: There will be artificial snow cannons in Estepona at 7 pm, 8 pm and 9 pm. There will be parades and also gifts for children who are dressed in red. 31st December: The party and fun are moved to the Plaza del Reloj (map), where the New Year’s Eve Party will take place. There will be fireworks and musical performances. Marbella has organized a very complete Christmas program with many activities for family and children. It starts on the 30th of November. You can find a link to the official Christmas program if you continue reading. From 30 November you can find Christmas workshops for children in some of the squares of the municipality. 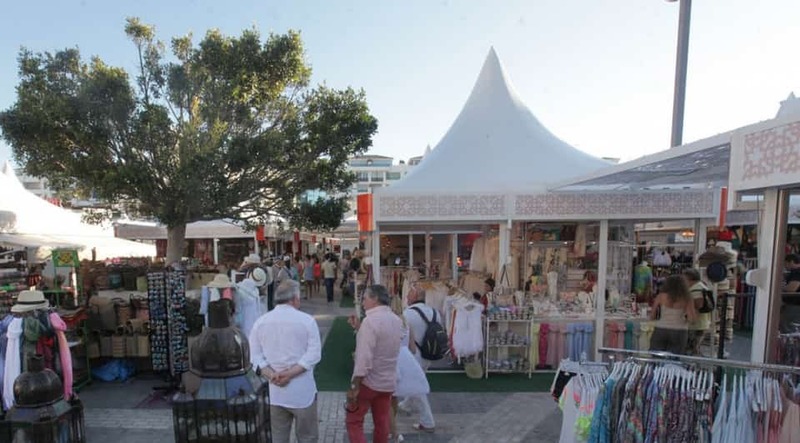 You will find them in Plaza de la Victoria (map), Jose Palomo (map), Plaza de Africa (map) and Plaza de los Naranjos (map) from 11.00 to 12.30 and from 5.00 to 6.30 pm. Nativity Scene made by the Marbella Nativity Scene Artists Association in Avenida Ramon y Cajal. Another Nativity Scene in Plaza de la Iglesia de la Encarnacion. Nativity Scene at Plaza de los Naranjos, in the Santiago Hermitage. On 31 December there will be children’s workshops in Plaza de la Victoria and Plaza de Africa from 11.00 to 12.30. Children can celebrate New Year’s Eve i Plaza de la Iglesia at 12.00 with children’s grapes, a show and the release of balloons. The New Year’s Eve party for adults will be in the same place but at midnight with the bells. In Torremolinos, Christmas begins on 7 December with the lighting of the Christmas lights. In addition the Nativity Scene will be available until January 6. Before the lighting on December 7, at 5 pm there will be music shows and many other activities in the city centre that are ideal for the family. Located on the ground floor of the town hall of Torremolinos is this Nativity Scene that has more than 500 small figures and a neat decoration. It is open Monday to Friday from 9 am to 1.30 pm and from 5.30 pm to 7.30 pm. Saturdays and Sundays from 10 am. The 24th, 26th and 6th of January will be open from 10 am to 1.30 pm. It is closed on 25 December and 1 January. 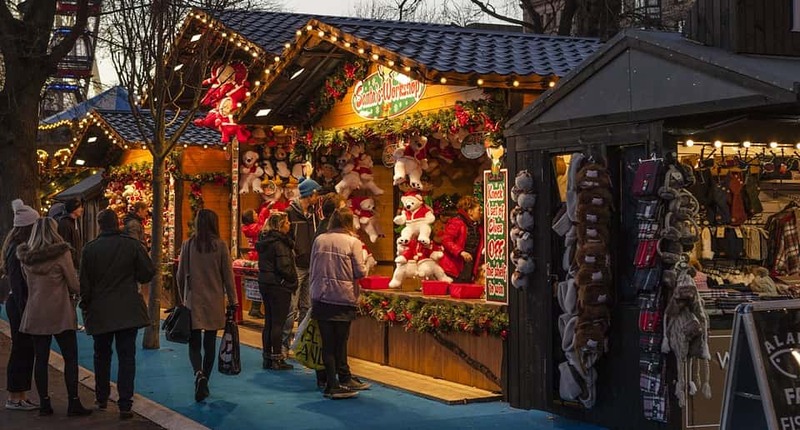 If you want to go Christmas shopping and enjoy the Christmas atmosphere of the province you can take a look at the list of Christmas markets in Malaga this year. However if you prefer to find some typical Christmas activity outdoors you may prefer ice-skating in Malaga. It is an activity for everyone, although you have to be well prepared , in the article I’ll tell you more. 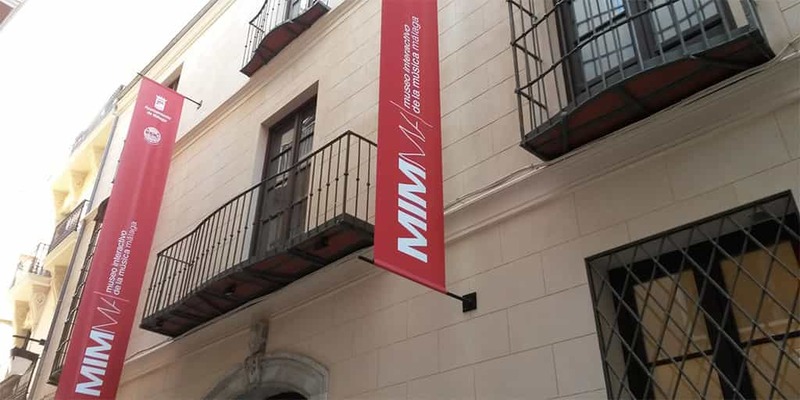 You can also visit MIMA Malaga, a children’s fair with all kinds of activities for children of all ages. From what they have told me they love to enjoy in this space where they will make many new friendships of their age. During one week in December (15th to 21st) there will be a traditional andalusian patio competition with musical performances and a festive atmosphere for all audiences. From theatre performances for children to flamenco evenings and tasting of typical products. Remember in Malaga the Night of the Three Kings with a parade and much fun for children on the 5th of January. 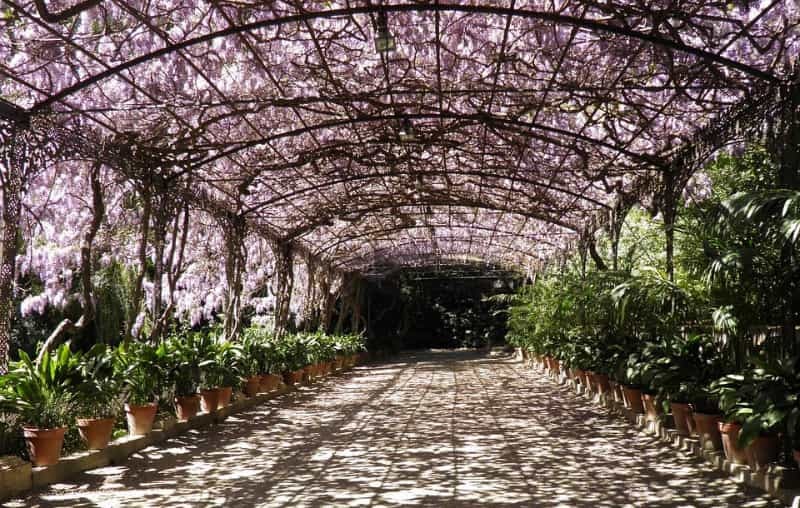 If you are planning to visit Malaga in winter you may find the next article useful. We offer you other activities not related to Christmas and a guide on everything you need to know about the months of December and January in Malaga.